If you have been anticipating the release of more pinball goodness for your Nintendo 3DS, you won't have to wait long at all. 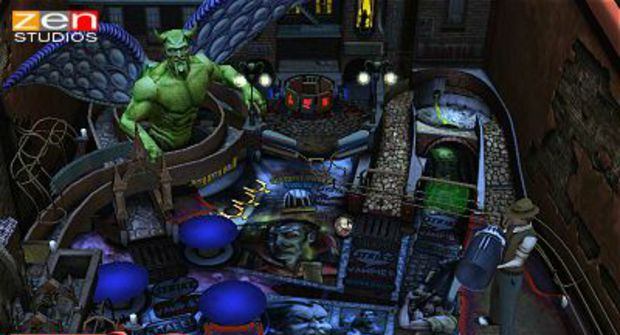 Announced less than a month ago in the run up to this year's E3, Zen Studios' Marvel Pinball 3D is slated to hit the Nintendo eShop this week, on June 28. Featuring four tables based on Marvel Comics properties (Blade, Iron Man, Captain America and The Fantastic Four), the pack will set you back $7.99 (€7.00). These are all solid tables, particularly Captain America and Fantastic Four. I could take or leave the Iron Man one which, no matter how hard I try, I can't seem to hit my stride in. Still, great games and now portable with a 3D effect you can turn off after five minutes when you decide to get serious about playing some pinball. Hooray!